Waiting For Reigns Her Majesty Game To Play On Your Android? 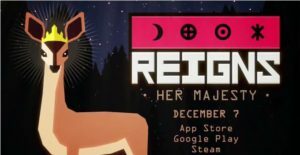 Here’s A Good News For You, Reigns: Her Majesty Finally Arrived In Google Play Store. 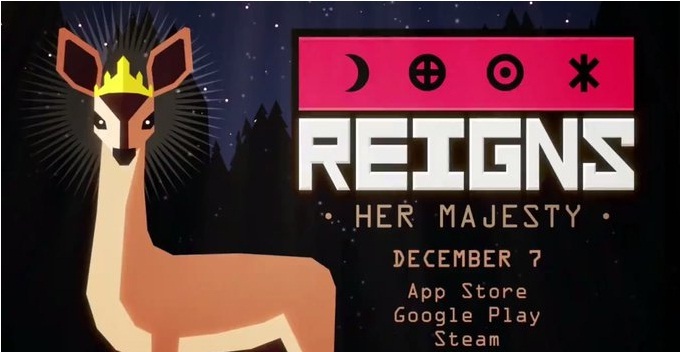 The Official Twitter Account Of “Reigns: Her Majesty” Today Finally Announced The Release Date Of Reigns Her Majesty. It’s A Sequel To The Smash Swipe’em Up Hit Reigns, A Strategy Based Single Player Card Game. Reigns Is One Of The Highest Rated Card Game On Google Play Store. Size – __, Price – Paid, Status/Release Date – December 7. Download – Here[Reigns Original, Google Play Store]. Trailer – Here. Announcement – Here.